Cheats for Where’s My Gift Level 9 10 11 12 Walkthrough – can you find the secret gift for the girl ? solve puzzles with your wits, find items in the unknown corners ! there are 24 funny missions to beat on every room. This entry was posted in 100 doors 3 and tagged my gift mission 9 10 11 12 cheats on June 24, 2014 by 100doorssolution. Cheat for 100 Doors 3 Level 96 97 98 99 100 Walkthrough – How to pass the puzzle by open the door to escape from the room, sequel of the famous android puzzle games 100 Doors and 100 Doors 2 so you can find out the key to escape for next stage and beat the game. This entry was posted in 100 doors 3 on June 21, 2014 by 100doorssolution. Hints for 100 Doors 3 Level 91 92 93 94 95 Walkthrough – How to pass the puzzle by open the door to escape from the room, sequel of the famous android puzzle games 100 Doors and 100 Doors 2 so you can find out the key to escape for next stage and beat the game. Answers for 100 Doors 3 Level 86 87 88 89 90 Walkthrough – How to pass the puzzle by open the door to escape from the room, sequel of the famous android puzzle games 100 Doors and 100 Doors 2 so you can find out the key to escape for next stage and beat the game. 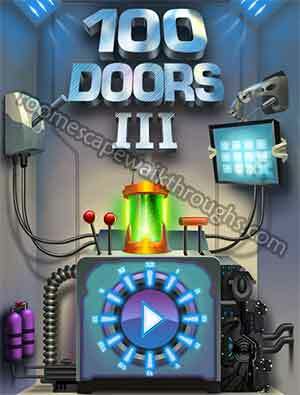 Solutions for 100 Doors 3 Level 81 82 83 84 85 Walkthrough – How to pass the puzzle by open the door to escape from the room, sequel of the famous android puzzle games 100 Doors and 100 Doors 2 so you can find out the key to escape for next stage and beat the game. This entry was posted in 100 doors 3 on June 11, 2014 by 100doorssolution. 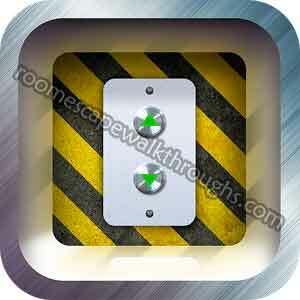 Cheat for 100 Doors 3 Level 76 77 78 79 80 Walkthrough – How to pass the puzzle by open the door to escape from the room, sequel of the famous android puzzle games 100 Doors and 100 Doors 2 so you can find out the key to escape for next stage and beat the game. This entry was posted in 100 doors 3 on June 10, 2014 by 100doorssolution. Guide for 100 Doors 3 Level 71 72 73 74 75 Walkthrough – How to beat the puzzle by open the door to escape from the room, sequel of the famous android puzzle games 100 Doors and 100 Doors 2 so you can find out the key to escape for next stage and pass the game. This entry was posted in 100 doors 3 on June 4, 2014 by 100doorssolution. Answer for 100 Doors 3 Level 66 67 68 69 70 Walkthrough – How to beat the puzzle by open the door to escape from the room, sequel of the famous android puzzle games 100 Doors and 100 Doors 2 so you can find out the key to escape for next stage and pass the game. This entry was posted in 100 doors 3 on June 1, 2014 by 100doorssolution. Guide for 100 Doors 3 Level 61 62 63 64 65 Walkthrough – How to beat the puzzle by open the door to escape from the room, sequel of the famous android puzzle games 100 Doors and 100 Doors 2 so you can find out the key to escape for next stage and pass the game. Solution for 100 Doors 3 Level 56 57 58 59 60 Walkthrough – How to beat the puzzle by open the door to escape from the room, sequel of the famous android puzzle games 100 Doors and 100 Doors 2 so you can find out the key to escape for next stage and pass the game.